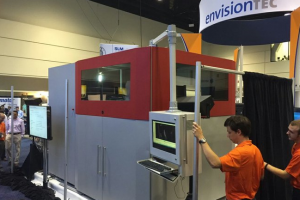 EnvisionTec has revealed the SLCOM 1, a new industrial composite 3D printer that utilises a process it has called Selective Lamination Composite Object Manufacturing. 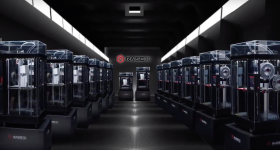 “We are proud to introduce the first disruptive industrial-scale, composites 3D printer. This represents a paradigm shift for manufacturing, especially where demanding mechanical and environmental properties can only be delivered from woven composites,” said Al Siblani, CEO of EnvisionTEC. 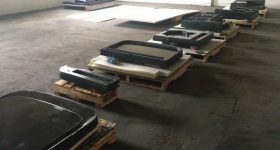 The process itself essentially builds composite parts from laminated thermoplastic sheets that sit on a roll, which means that the printer can produce objects up to 24”x30”x24”. 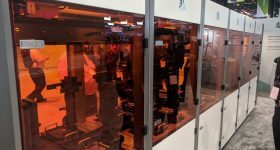 This is a major step forward and means that companies can now rely on their printer to produce parts that would have to be ordered from an outside supplier beforehand. The SLCOM 1 processes a wide range of custom made thermoplastic-reinforced unidirectional or multidirectional fibers that can be customised for each application. Currently the SLCOM 1 can employ glass fiber, woven carbon fiber and aramid, together with a choice of different Nylons and Polycarbonates. 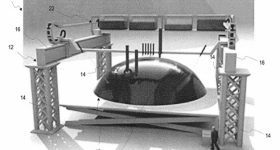 So it can create a vast number of composites of varying complexity, rigidity, flexibility and cost. That means each item can be tuned for toughness, resistance, low flammability, strength, wear resistance and vibration damping. 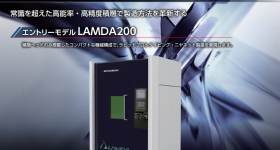 So the printer can cope with a number of difficult applications and should be able to produce parts for the aerospace, automotive, consumer products, medical and sporting goods industries. 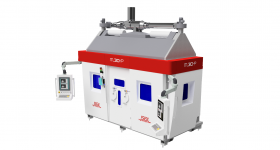 “It is exciting to consider the extensive range of new applications that the SLCOM 3D printing technology will open up. 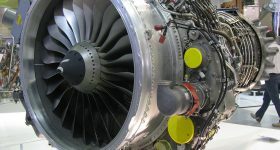 EnvisionTEC has long been a pioneer in 3D printing innovations and we believe that this entry into the composites space will propel industrial 3D printing to a host of new applications,” said Siblani. EnvisionTEC is a provider of commercial 3D printing sevices for a variety of industries and submitted its first patent in 1999. Since then it has developed a variety of 3D print solutions centred on high precision, speed, surface quality and functionality of the finished products for the most demanding industries in the world. 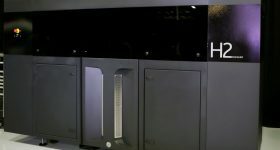 This new printer should carry the torch for the company against increasingly impressive competition, including HP’s new entry to the market place. These are interesting times for the industry and EnvisionTEC clearly plans on playing its part. 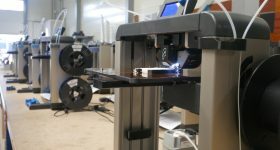 More on this topicMemjet tech to help XYZprinting to the top?